Weddings are one of the most important days in a couples life which calls for a really special gift! 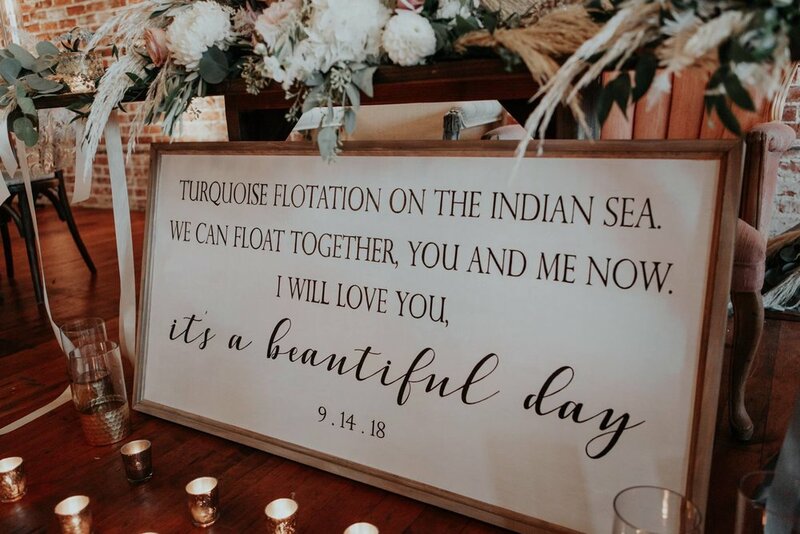 Custom signs are the best piece whether it’s for your own day or for a family or friend. 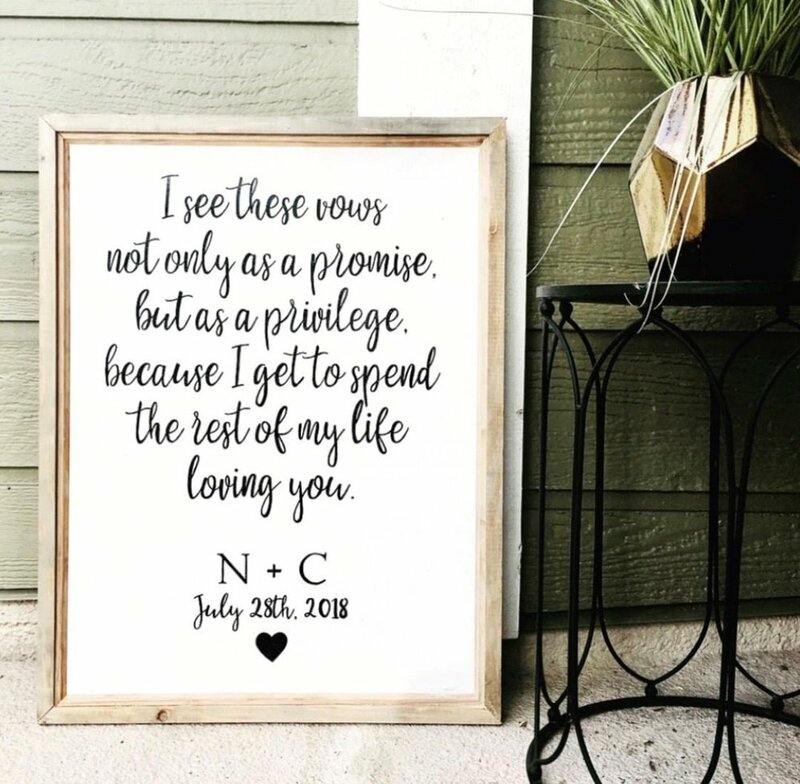 It’s the keepsake that will bring you/them back to their special day! 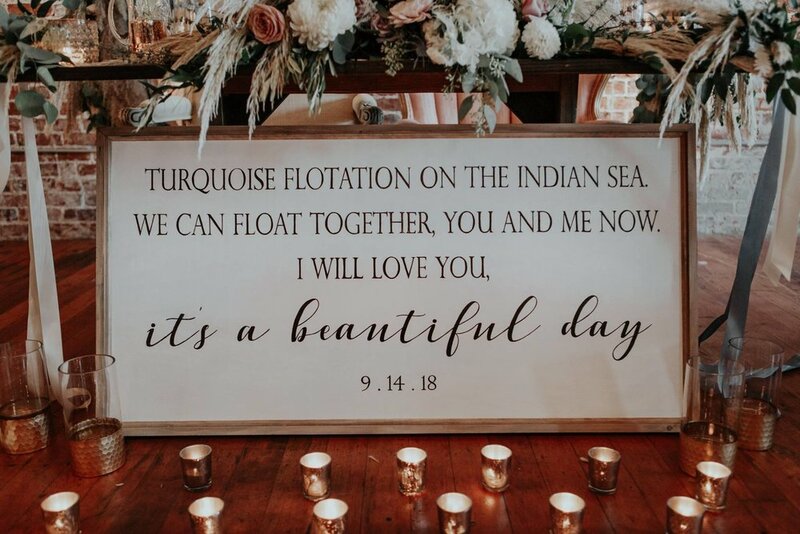 First Dance Lyrics, Name & Date, Vows … the list goes on! You will receive a confirmation within 24 hours and a proof within 1-2 business days. If any changes need to be made, please contact us within the first 48 hours to make any corrections.